Adam Smith, the 18th century father of economics didn’t write about value-in-experience. Rather, he wrote: “The word value, it is to be observed, has two different meanings, and sometimes expresses the utility of some particular object, and sometimes the power of purchasing other goods which the possession of that object conveys. The one may be called ‘value-in-use’, the other, ‘value-in-exchange’. I think that Adam Smith didn’t go far enough. There is another source of customer value: value-in-experience. But first, let’s review what Mr Smith had to say. 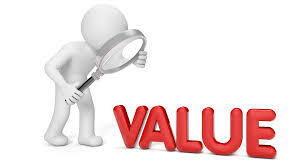 Value-in-exchange is the exchange of one form of value for another. In developed economies value-in-exchange takes the form of money being exchanged for a good or service at the point of sale. One form of value (the good or service) is exchanged for another (money). In less developed economies, barter is a common non-monetized form of value-in-exchange, goods or services being exchanged for other goods or services. Your vegetables for my leather-ware. Value-in-exchange logic suggests that value is created by the firm, embedded in products, distributed to the market, and realised when those products are exchanged for money. From this perspective, the roles of producers and consumers are distinct, and value is created about when production, marketing, distribution and selling processes are performed by the firm. 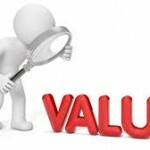 Value-in-use holds that value is realised only when customers possess, use, consume or interact with the good or service. Until consumers perform these actions, goods are simply inert bundles of attributes – they have no value whatsoever. This perspective on value suggests that value is “not what the producer puts in, but what the customer gets out”. Firms can only create value propositions. Customers co-create value-in-use when they use or otherwise interact with the firm’s products. This suggests that value-in-use is context-dependent. Younger consumers attending a birthday party hosted by a fast-food chain may experience considerable value-in-use, but using the same service provider for a wedding celebration may yield considerably less value-in-use for participants. Even negative value! I don’t believe that customers experience value only when they use products and services (or ‘dis-value’ if their experience is unsatisfactory). I suggest that customers can experience value as they interact with or are exposed to any marketing, sales or service output of the firm throughout the customer lifecycle. Let’s consider marketing first. There is potential value in enjoying the humour in an ad, or learning about a food product’s ingredients from its packaging, whether or not purchase takes place. Sales activities can also help a customer experience value, for example when a pitcher demonstrates how a product works in a television infomercial, or when a salesperson skilfully proves that a product can solve a customer problem. Service activities can also enable a customer to experience value. When a customer calls to request service under warranty, a skilled customer service agent can make the customer feel comforted that the issue will be resolved quickly and effectively. Contact centre staff with high emotional intelligence can add considerably to customer perceptions of value.Managers who design and deliver customer experience throughout the customer life-cycle need to be aware that the customer’s interactions with the firm’s products, services, people, processes, communications and other outputs, whether from marketing, sales or service departments, can have a significant effect of the customer’s value-perceptions. Value is not only experienced when customers use products and services. Consequently, I prefer to think in terms of ‘value-in-experience’ rather than ‘value-in-use’. Posted in: customer experience management CXM, customer value management CVM. Copyright © 2016 Francis Buttle. All rights reserved.